Favorite Brands, a distributor of craft beer, wines and spirits, leased space in northwest Houston. 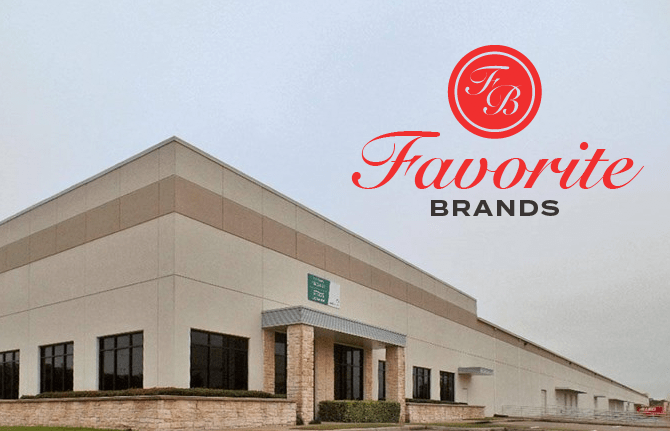 HOUSTON – Favorite Brands is a family-owned distributor of craft beer, boutique wine and spirits, has signed a lease for industrial space in northwest Houston. NAI Partners recently arranged a 91,200-SF industrial lease for Favorite Brands at 9010 West Little York in Houston. The building is near Highway 290 and Fairbanks North Houston Road. John Ferruzzo and Nick Peterson of NAI Partners represented tenant, Favorite Brands, and Matteson Hamilton of Stream Realty represented the Landlord, KTR Hou IV LP, during the negotiations. Dallas-based Favorite Brands is a family-owned distributor of craft beer, boutique wine and spirits. The company also operates in Austin, El Paso, Albuquerque and McAllen. The company was founded in 1978 by Joe LaMantia Jr. who purchased an Anheuser- Busch distributorship in McAllen and branched out from there.